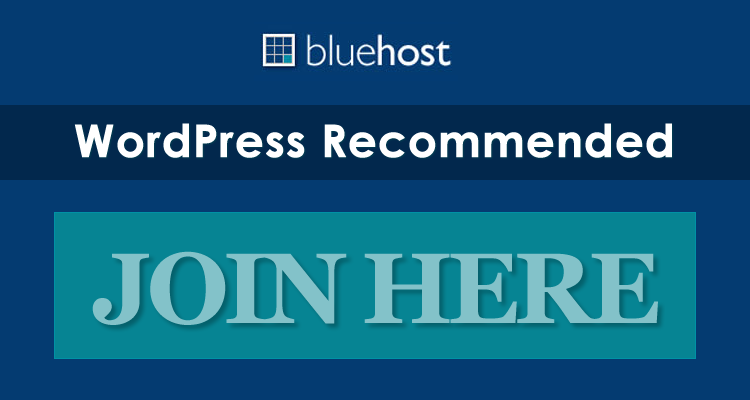 The Saving Grace premium WordPress theme by Matthew Smith was designed specifically with charities and non-profit organizations in mind. Utilizing strong styling, attention-grabbing typography, and a keen eye for detail, Matthew and WooThemes have produced something spectacular. Organizational operations are simple to administer through your site with Saving Grace. I found the included donation functionality to be clean and intuitive, providing visitors the chance to give an offering via PayPal and see the progress of overall giving in the theme. 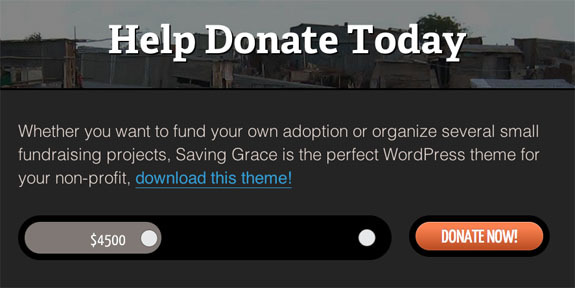 Ultimately, Saving Grace premium theme is a wonderful theme serving a truly wonderful purpose — serving others. You can give the theme a try at the end of this post. Featured slider — A custom built featured slider that shows your slide posts beautifully on the homepage. Each slide can show a big title or small title with content. Donation progress bar — Saving Grace has a donation progress bar, which shows how much money has been donated. You set your donated amount and goal in the theme options. Donation page template — You can give your visitors more info with the included donation page template, which has a separate progress bar and donation button. Custom typography — You can customize the typography in Saving Grace premium theme to suit, and there is full support for Google Fonts in the font selector. Custom widgets — Saving Grace has a widgetized sidebar, and as always comes with custom Woo Widgets (ad space, blog author, Wootabs, subscribe, archives, search, Flickr, & Twitter). 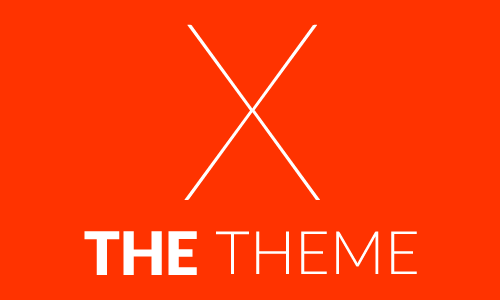 Alternative styles — 5 alternative color styles are included with Saving Grace theme, which you can preview in the demo. Also, there are styling options for the background color/image, link color, and button color. Come back and check out the showcase as we find more sites from around the web using Saving Grace.